Are you interested in archaeology and want to pursue a research career? Do you want a graduate programme which combines intensive training and a flexible structure? Then this is the programme for you! The aim of the two-year Research Master in Archaeology is to provide you with the theoretical abilities and methodological skills which will enable you to become a successful researcher. You will develop a thorough understanding of key debates in archaeology, develop a critical attitude and acquire essential organizational, networking and teaching skills. Most importantly, you can tailor the programme to your needs and special interests. The Research Master in Archaeology has a broad geographical and chronological coverage – from the Arctic and North-western Europe to the Mediterranean and the Near East, from the Mesolithic to historical archaeology. In addition, the programme will increase your chances in the job market: You can do an internship, or become research assistant; you will also be trained in writing peer-reviewed articles, grant applications and a PhD proposal. In the first year, you will attend three compulsory courses, but can choose two courses yourself. In the second year, you will once more attend two compulsory courses, and one elective. You will complete the programme by writing a thesis on a topic of your choice. The Research Master in Archaeology offers an ideal combination of a strong taught programme organized along thematic courses and a flexible structure which offers ample opportunities for further specialization. The compulsory lectures revolve around the main research interests of the Groningen Institute of Archaeology: the integration of archaeological theory and archaeological science, the archaeology of the settled landscape, the relation between humans and the environment, mortuary studies and the analysis of material culture. During these courses students will be trained in networking and in writing articles, grant applications and PhD proposals. Spending a period abroad is encouraged. Participation in fieldwork projects or work in the various laboratories at the department or elsewhere is facilitated. 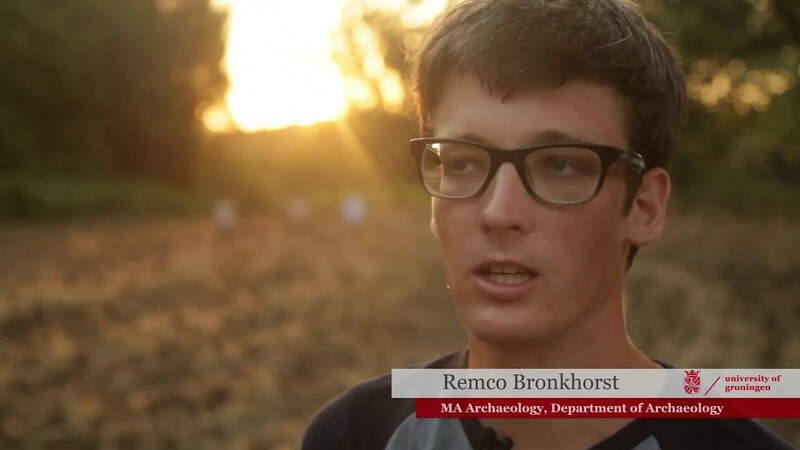 The degree is an excellent preparation for a research career in archaeology. While many of our graduates are successful in capturing a PhD position in the Netherlands or abroad, they also have the possibility of obtaining other research oriented positions (f.i. in museums, heritage institutions and research institutes). The Research Master in Archaeology is offered by the Graduate School for the Humanities, which offers also courses for Research Master students. The programme has close links with excellent national and international research schools and institutes, research projects, museums, laboratories and cultural heritage services. The University of Groningen is well known for its superior laboratory facilities, excellent reference collections and technical support which support archaeological research. Research takes place in different institutes and centres at the University of Groningen. The Groningen Institute of Archaeology (GIA) is a research institute within the Faculty of Arts, responsible for all archaeological research within the University of Groningen. The Arctic Centre functions as an information centre for polar research in the Netherlands. Part of this research is carried out at the centre itself, by the archaeologists, biologists, ecologists, geographers and historians participating in the centre in close co-operation. CRASIS is an interfaculty research institute at the University of Groningen, dedicated to the study of the ancient world. Their aim is to advance interdisciplinary study of the interplay between culture, religion and society. They run monthly seminars and a very successful annual meeting, followed by a Masterclass. The Centre for Isotope Research operates under the Faculty of Science and Engineering (FSE) and the Energy and Sustainability Research Institute Groningen (ESRIG). The Centre specializes in radiocarbon and stable isotope analysis and collaborates closely with the Groningen Institute of Archaeology. If you are a talented and motivated student who started in September with the research master programme Archaeology, you can apply for a paid position of one day a week at the university. Parallel to your courses, you will participate in an (interdisciplinary) project and do research that relates to the theme Sustainable Society . It is possible for research master students to participate in seminars, courses and summer schools organized by the Dutch national research schools, such as OIKOS and ARCHON. These 'schools' are organized for the training of PhD students, but some activities are open to or specially set up for you as a research master student. These events give you the opportunity to deepen your disciplinary profile and to become acquainted with top researchers in your field. Check the websites of the Dutch Institutes in Rome (KNIR), Athens (NIA), Istanbul (NIT) for exciting courses on archaeology, heritage, history and the role of archaeology in the modern world – but also for language courses. I'm Pir Hoebe, 24 years old, and I grew up in the most beautiful part of the province – what was once the fiefdom of Westerwolde. From a young age I was able to nurture my love for the past. While roaming through the woods and fields, I would fantasize about medieval knights and Roman legionaries. When I heard that there was such a thing as archaeologists, I lost no time attacking the back garden with a spade. When it came to choosing a Bachelor’s programme, I tossed up briefly between history and archaeology, but archaeology really brings you into close contact with the past and that really appealed to me. For my MA I am specializing in hunter-gatherer cultures in Northwestern Europe during the Upper Palaeolithic (Late Stone Age) and the Mesolithic (Middle Stone Age). The Research Master’s (ReMa) programme in Archaeology allows me plenty of freedom to explore my interests within this specialist area. There are only a few core modules in the ReMa. For the rest you can choose course units from the regular master's tracks (Prehistory and Protohistory, Mediterranean Archaeology, Maritime Archaeology, Bioarchaeology, Arctic Archaeology). And there is still enough time to specialize further through tutorials with lecturers. This involves coming up with a research question, or choosing material or a method that you want to study. On top of that, there are opportunities to earn part of your ECTS credit points at other universities or abroad. On 4 June I defended my thesis Corded Ware Coastal Communities, Using Ceramic Analysis to Reconstruct Third Millennium BC Societies in the Netherlands. Analysis of earthenware has told us much more about the people who lived along the Dutch coast in the fourth millennium BC. These were people who lived from agriculture and livestock farming combined with hunting, gathering and fishing. What is special is that the earthenware that these people used is extremely similar to earthenware found in an area stretching from Scandinavia to Switzerland and from Russia to the Netherlands, so alongside regional roots, the coastal communities also had a large international exchange network. The Research Master’s programme in Archaeology was the perfect preparation for this. This two-year programme gave me a lot of freedom and extra time to delve into a topic. During my studies, I specialized in the analysis of earthenware from the fourth and third millennia BC. Analysis of this earthenware tells us more about the people who made and used it as well as about their society. In my PhD research I was able to put this into practice. I have learned a lot of different things during my internship. During my internship I conducted my own research under the supervision of Dr. Stanford. Naturally I learned a lot from him about the peopling of the Americas and the details of American archaeological issues. I learned about what it is like to work in such a major research environment. The museum has many resources that attract students from all over the world: collections, libraries and experts in various fields. I loved the museum. Just being surrounded by all these amazing artefacts was a motivation by itself to come to work everyday with a smile on my face. I loved taking the long route to the office through the Dinosaur and Ice Age halls, walking by the T-Rex, Mastodons and Mammoths everyday. In Dr. Stanford’s office were all the prehistoric projectile points that I was studying. It is just a lot of fun to actually study real artefacts, especially when you have been reading about those very artefacts for years. Besides the artefacts I truly enjoyed being in this environment where something always seems to be happening. People are passionate about their work and are enthusiastic to tell you all about it but they are also very much interested in your work. I have felt very much accepted by many different people during my stay in Washington DC. Without a doubt, the Research Master's programme in Archaeology was the right decision for me. After a rather broad Bachelor's programme, this Master's programme allowed me to focus on my interests and become more specialized. I followed the specialization in Bioarchaeology. I chose the Groningen programme for the personal guidance, the approachability of lecturers, the wide range of specialization options and the opportunities available to students. There are a lot of options within the Research Master's programme, so you can tailor the programme to your interests. Next to a few compulsory course units, there are lots of tutorials and you are free to choose your own topics (region, period, material category, etc.). You are expected to work independently, with discipline and set your own deadlines. The Research Master's programme prepares you for a career as a research specialist. However, you will be trained in more than one specialization and that means that you will be able to work in a wide range of professional fields. I would like to work as a paleoecologist or archaeobotanist at a bioarchaeological research bureau, or continue to conduct academic research. A specialist position at a natural history museum also sounds very interesting. Electing to do my Master's at the RUG was not a difficult choice. The education provided at the RUG is very personal, as classes and groups are often quite small. A Lot of Self-study You have about two to three courses per semester, nothing too excessive. However, the rest of your time is filled with self-study, such as reading and working on essays. In addition to this, it is recommended that you attend an internship to become connected and orientated within the field. The programme requires a high level of independence and dedication to handle the large amount of self-study. In Groningen you can choose between two archeology masters: Pre and Protohistory of Northwest Europe and Classical and Mediterranean Archeology (KMA). I chose KMA, mainly due to my interest in city and state formation and the related processes. Since the basis of these processes lie, in the case of the Netherlands, in the Mediterranean area, this programme has been perfect for expanding my knowledge on these subjects. The KMA program has been excellent so far, exceeding my initial expectations. A Master’s degree is essential for your future employment prospects in the field of Archeology, which is my main motivation for enrolling in the programme. Electing to do my Master’s at the RUG was not a difficult choice. The education provided at the RUG is very personal, as classes and groups are often quite small. Also, the connection between the programme and the Groninger Institute for Archeology ensures that the lines in research projects are very short! I highly recommend this programme at the RUG to anyone who is interested in archeology! 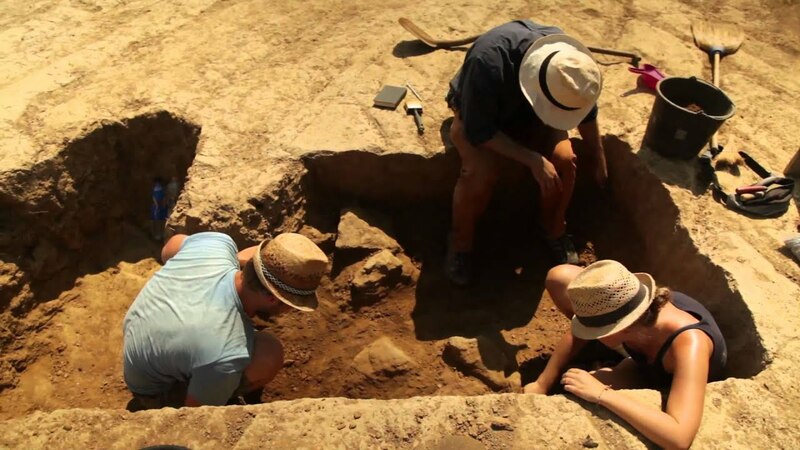 The Faculty of Arts also offers a one year master's degree programme in Archaeology. Since 1994, the sole purpose of Bachur is to bring the archaeology students of the Groninger instituut voor Archeologie together. Fellow students are organizing fun and educative activities for you. Think of monthly drinks in local pubs, flintworkshops, trips to musea, and foreign excursions.